So far Michelle Warkentin has created 23 blog entries. If you are a student reading this you are probably thinking, ‘I haven’t even stepped foot on my college campus and they already want me to take a test!? As if the SAT and ACT were not enough!’ However, if you took one of those tests or an AP test and passed, you may be in luck! Contrary to what you may think, colleges are not purposefully trying to torment you. Instead, the reason for the placement tests is to find out where you are at academically in order to place you in the appropriate course. In talking with David Navarro, College Relations Specialist at the Clovis Community College Center, he reiterated that their hope is that students will not be placed in classes which are too easy and cause boredom or classes which are too difficult and could possibly lead to failure. Students who are attending an SCCCD campus are only required to take the English placement test. Students will be placed in the appropriate math class based on the highest level of math they have completed. Many students worry about how they will do on the placement test and ask how they can prepare for it. “I never recommend a student to “prepare” for this test,” Navarro said. “I use the analogy of energy drinks and running a race. Though consuming an energy drink before a race may give the student an immediate, but short-lived boost to increase performance, the student will not have the stamina needed for the long duration of the race because the basic fundamentals of strength training and cardiovascular conditioning are missing. The CSU system has a similar placement testing arrangement. However, both math (ELM) and English (EPT) tests are required, unless students meet the exemption requirements. Those students who take the ELM/EPT and do not meet the proficiency requirements will be required to attend the Early Start Program before the start of their freshman year at the CSU. When asking Donna Bollinger, Administrative Assistant in the Testing Office at Fresno State her advice in regards to taking the test(s) she said to sign up early because the spots fill up very quickly. Bollinger also suggests that students may want to brush up on their math and English skills before taking the test. A good way to do this is by visiting the ETS website where students can view practice questions and learn about the test format. But just like the other placement test, the information presented on the test is material that you have learned in your high school classes. For more information on the SCCCD placement test, visit the website. *The SCCCD placement test will be offered to Fresno Christian seniors who have applied on Feb 24 from 10:20 a.m.-12:20 p.m in the computer lab..
*Fresno Christian students who need to take the EPT/ELM for the CSU system must sign up for the test and choose their desired location by visiting the site. For the most recent post by Michelle Warkentin, please check out College Corner: Managing the FAFSA. For another opinion, read Chris Grossman’s COLUMN: Why every student should go to NOTS. Filling out the Free Application for Federal Student Aid (FAFSA) can be an intimidating process for both parents and students. Although completing the application can be somewhat confusing, potential pay off can be well worth the time and frustration. From academic years 2006?07 to 2011?12, the percentage of first-time, full-time undergraduate students at 4-year degree-granting institutions receiving any financial aid increased from 75 to 85 percent. One of the biggest reasons I have encountered for students not completing the FAFSA is because they believe their parents make too much money to qualify for financial aid. Even if this is the case, not filing for the FAFSA can disqualify students from receiving scholarships through their college that often require completion of the FAFSA to qualify. With the addition of the Middleclass Scholarship in the 2014-2015 academic year, some students who would not have received assistance in the past are now eligible for grant money if they will be attending a CSU or UC campus. In speaking with Miriam Villasenor, Public Contact for the Fresno State Financial Aid Office, her biggest piece of advice was not to miss the Mar. 2 priority deadline. She also encourages families to take advantage of the IRS Data Retrieval Tool. By using this tool, a family’s tax information can be transferred directly from the IRS website to the FAFSA application, allowing the report to be as accurate as possible. After completing the FAFSA, colleges will receive a report stating the family’s estimated financial contribution (EFC), in other words, how much the family can afford to pay toward college. Students make several mistakes on the FAFSA, which is why it is so important to read every question carefully and have a second set of eyes to look it over. Villasenor stated that a common mistake is for students to report their parents? income as their own income, which could significantly decrease the amount of money they will be eligible for. Sean Moore from SMART College Funding states that 80 percent of completed FAFSAs contained one of more mistakes, particularly related to claiming assets. Although mistakes are easy to make, there are professionals dedicated to helping parents and students complete the application. To get answers to your FAFSA questions or to begin the process, please visit their website. There are also several local workshops that families can attend to learn more about the FAFSA. Workshops labeled Cash for College allow students the opportunity to earn a $1,500 scholarship. Other local Cash for College Workshops. Register here. For last year?s article about the FAFSA, click here. Follow the Feather via Instagram and Twitter: @thefeather and @thefeatheronline. For more opinions, read the Jan. 13 article, New staffers reflect on fall semester. Academic advisor Michelle Warkentin speaks to the juniors and seniors about college acceptance letters and Conditional acceptance. As I purchased the last gift off my family’s wish list (thank you Amazon online shopping) I gave a sigh of relief knowing that I no longer have to deal with the stress of fighting over parking lot stalls and waiting in endless checkout lines. I still have the wrapping and the baking to do, but the worst part is over. I cannot help but think of my high school seniors in a similar state with college applications. Not quite time to enjoy, but for a moment they can rest, knowing that the hardest part is over. Erika Contreras, Outreach Ambassador at Fresno State advises students to tie up loose ends and not slack off during their second semester of high school. She reminds students to make sure they’ve paid the application fee, submitted any other documents required, applied to programs such as EOP and Smittcamp, and applied for available scholarships and financial aid. For information about these and other Fresno State scholarships click here. For students who are planning on attending a college such as Fresno State, the application is just the start of the college checklist. In March students need to accept or decline admission to Fresno State and register for Dog Days, the mandatory student orientation held over summer. Submitting documents such as SAT/ACT scores, residency forms and official transcripts is also important. The conditional acceptance is not taken off of a student’s account until all required documents have been submitted. Dustin Noji, Associate Director of Admissions at UC Merced, also talks about the importance of senior year grades. Noji also states that how students finish high school is often a great predictor of how their first semester in college will be. Noji went on to explain that although unfortunate, it is not uncommon that they have to rescind a student’s admission at orientation because the student did not meet their conditions of admission. How easy it would be to fall into the trap of becoming complacent and slack off on grades during the final semester, but do not let this be you! A conditional letter of acceptance is a huge accomplishment and something to be very proud of. However, the ball is not out of your court yet. It is still up to you to turn in all documents needed for final acceptance and maintain good standing in your courses through graduation. My final words of advice are to use this time during Christmas break to relax and refocus in order to prepare for the final semester of high school. Do not give any college a reason to double-check your admissions status. Instead make this next semester your best semester! For more opinions, read the Dec. 9 article, The truth behind modern headlines. 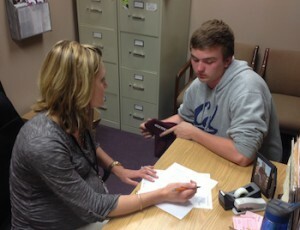 For more on College Corner read, College Corner: Financial Aid. Michelle Warkentin speaks to students about the different forms of financial aid they can receive when they go to college. As students begin to apply for college the inevitable sticker shock begins to set in. Up until this time they have searched for colleges by major, sports teams, and distance from the beach. However, when it comes down to it, finances are often the biggest factor in determining which college a student will attend. For the 2011-12 academic year, annual current dollar prices for undergraduate tuition, room, and board were estimated to be $14,300 at public institutions. This cost increases to $37,800 at private nonprofit institutions, and $23,300 at private for-profit institutions, as published by the U.S. Department of Education, National Center for Education Statistics (2013). Unfortunately college prices continue to increase over time. Although the statistics may seem depressing, there is a glimmer of hope. Along with an increase in price also comes a rise in financial assistance. From academic years 2006-07 to 2011?12, the percentage of first-time, full-time undergraduate students at 4-year degree-granting institutions receiving any financial aid increased from 75 to 85 percent, also according to the U.S. Department of Education, National Center for Education Statistics (2014). In order to get an accurate perspective on financial aid, I sought the advice of Gary Nichols, Director of Financial Aid from Fresno Pacific University. My first question for Nichols was what students should do if they are really interested in attending a specific college, but don’t think they will be able to afford to attend. He encouraged students to continue to pursue the college because with different institutional scholarships you never know what type of financial aid package you will receive. “If you never apply you will never know the outcome,” Nichols said. As students are aware many colleges offer great financial aid packages for athletes, scholars, musicians, etc. But what about other forms of assistance are there? Outside scholarships. There is billions of dollars out there for students to apply for outside scholarships. Nichols recommends that students visit the following scholarship websites: Fast Web, Cappex, SallieMae and College Board. Students also have the opportunity to participate in community service programs through AmeriCorps. This program allows students to earn up to two education awards, up to $4,725 each. Students often sell themselves short and do not think they have a shot at earning outside scholarships, or do not think it will be worth the effort it takes to apply. I agree with Nichols’ statement that you never know what you are going to get until you apply. Students should apply to several colleges, even if the price tag seems too high. Since you don’t have to make a final decision until May, you have plenty of time to weigh out your options and apply for as many scholarships as possible in the meantime. Honestly, what do you have to lose. For more information on personal statements/college essays, read the Oct. 16, 2013, column, College Corner: Personal Statements. For more College Corner, read the Oct. 17 column, College Corner: More bang for your buck. Academic Advisor Michelle Warkentin shares tips on how students can get started with their community college applications. College Corner is a column about all things college, covering everything from college preparation to tips on application. “What are your plans for college?” the inevitable question that everyone asks you when you are a teenager. This can be a frustrating and even humiliating question for students if they are unsure of what their future holds. As I meet with seniors who are currently buried in college applications and studying for the college entrance exams, even they are unsure of how to answer this question. With college applications at a record high, nerves about getting into top universities are also at an all time high. Today I want to talk about the “back up plan” for many students. Don’t get me wrong, I am all for students attending a private Christian college or even an Ivy League school, but I know that is not a reality for many students. And it is not simply the academics that can be a struggle but also the hit it may take on a family’s wallet. Community college used to be viewed at as a last resort or a fall back plan, but this negative perception is beginning to change. In many cases, two-year colleges are being viewed as a cost effective platform to get you where you want to go. This is not a figure to disregard, that amount of money could be a new car or down payment on a house! With more college students graduating college with massive amounts of debt, this may be a good option to consider. Since students are mainly taking general education classes the first two years they are not really missing out on anything by taking this alternate path. Some students worry that the units they are taking will not transfer easily to a four-year university. However, if you enter the community college with a plan in mind and work closely with your counselor this should not be an issue. “Lots of community colleges work closely with area state colleges or universities to ensure credits transfer directly,” says Farestad-Rittel, a financial whiz at the popular discount company Gift Card Granny. Now I am aware that there are some downsides to attending a community college, such as the lack of the “college experience” or exciting dorm life. I am also not encouraging this option for someone who has their heart set on a specific career path and is accepted into their dream school. However, I do want to open the eyes of students who are still weighing out their options and aren’t ready to determine their career path at 18. I believe that the community colleges are doing a great job of preparing students for four-year colleges and making sure they are taking the appropriate classes to get them where they want to go. Brandon Huebert, Trio Counselor/Coordinator at Clovis Community College (CCC), encourages students to apply because of the various programs available. Both Fresno City College (FCC) and CCC have Honors Programs for students who have maintained an excellent GPA and have the desire to transfer to a California State University (CSU) or University of California (UC) after two years. There is also a program called IGETC, for qualified students that may improve their chances of being accepted into a competitive UC campus and/or program by first taking the required coursework at a community college. Huebert also advises students to apply to community college because of it’s cost efficient tuition for opportunities and programs in education. Whether it is your first choice or your back up plan, the community college has a variety of programs and opportunities for students. For more on College Corner, read Sept. 5 column, College Corner: Responsibility begins early. For more opinions, read the Oct. 14 column, Ebola virus continues to infect. Michelle Warkentin explains to students that responsibility for college begins early and with proper initiative. Two weeks ago I spoke to the senior class of 2015 during their advisory period. As I passed around a paper titled Senior Checklist, the looks I observed on their faces were comical. The overachievers appeared pleasantly surprised that I had essentially mapped out the next nine months for them and they scanned quickly through the list, checking off items in their head. Then, there were the students who avoided all eye contact with the paper for fear that starting to read would be the beginning of a painstaking process of uncharted territory: college applications. The third group of students was easy to identify because they were the ones who slouched a little lower in the chairs at the simple mention of the word “college”, they glanced at the clock to see how many minutes of college talk they would have to endure, because in their minds, “they are not college material”. This is not a scenario unique to FC, it is happening in schools all across the nation. Seniors are starting to chart out their path for life after high school and inevitably they fall into one of these three categories. There is a common misunderstanding about school counselors, it is the assumption that we believe anything less than Harvard, Oxford, or Yale is less than the best. However, this could not be further from the truth. Every student is uniquely different and has amazing gifts and talents that should be devoted toward their passions and interests, in whatever avenue that may be. I will fight just as hard to help a student get into culinary school as I will for one pursuing a P.h.D in Neuroscience from Stanford. No matter what path you decide to take, make sure you are prepared. I do not simply mean prepared in the physical sense of the word, but in all aspects. Seniors, this year is a crucial time in shaping your world view and personal identity. Make the most of every opportunity you have in your final year of high school. From leading your team on the sports field to putting in volunteer hours for your on-campus club, make an impact wherever you are at. Keep in mind that colleges, honors programs, tech schools (and the list goes on) are looking for someone who can change the culture of their surroundings and has a passion for what they do. The best advice I can give for starting out this year is start strong, complete the tasks on this checklist by all means. But more importantly, be intentional about the interactions you have and the things you do because you never know where they will take you. Best wishes to the Class of 2015, I am excited to help you on this riveting journey! Seniors have already received a senior checklist for the year along with upcoming SAT and ACT test dates. In other news, I recommend juniors and seniors attend the annual Fresno Area College Night , Sept. 10 from 6-9 p.m. at the New Convention Center Exhibit Hall in downtown Fresno. There will be representatives from over 100 vocational colleges, CSU campuses, community colleges, UCs, and private universities. All high school students can attend this event. The event is annually sponsored by the Fresno County Office of Education and PG&E. I also would also recommend, students take advantage of the Annual FCS College Fair on Sept. 23 on the campus quad, 12:35-1:15 p.m. This is mandatory for all students grades 9-12. Students will have the opportunity to talk to college representatives from various private and public colleges and tech schools. 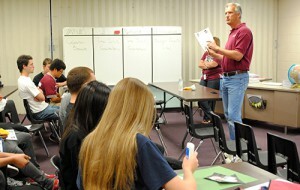 or read the March 26 article, College Corner: Careers of the future. This month academic advisor Michelle Warkentin discusses the top career choices in College Corner. This month I’ve decided to take a break from the “to-do list” of college applications, scholarships, SAT/ACT, etc. and focus on something a little more interesting and applicable for everyone. Each week I get students in my office asking me what I think they should do when they grow up. The interesting thing is many adults are asking this same question. As important as it is to do something you are passionate about, it is equally as crucial to do something that is sustainable in the future. One of the biggest struggles for college graduates these days is finding a job after graduation. This is a much greater problem among certain fields of study than others. This can be somewhat disappointing for the high number of students studying social sciences, history, education, and psychology, which are in much less demand. Newman identified the top 10 careers of 2020, however I found an article published by Business Insider to be more helpful and up to date. This article is in no way aimed at discouraging students from pursuing their passion in a career. However, the purpose is to bring up the important reality that some careers are going to be more desirable and more profitable than others. Deciding on a college should go hand in hand with choosing a perspective career. My goal as an Academic Advisor is to make sure I am offering sound advice for students in this process and helping them get from point A to point B as efficiently and successfully as possible. A college degree is no less important than it has been in past years, especially one that will land students a job as quickly as possible and with minimal accumulated debt. In fact, US News reports: ?Consulting firm McKinsey & Company predicts that by 2020, there will be a shortage of 1.5 million college grads, which means employers will continue to place a high premium on better-educated workers.? I hope that you enjoy this time of discovering the gifts the Lord has blessed you with and figuring out how you can use these in your future career. Hopefully you can reflect on lists like this one to pursue a career that is enjoyable and also offers financial peace of mind and job security. Set aside some time this summer to talk to people in the professions you are interested in to gain a better perspective of the daily tasks and skills needed for the job. For more opinions, read the March 25 article, Campus student seeks strategies to tackle depression. Beep, beep, beep…you rub your eyes, reach over to hit your alarm. Just five more minutes you think to yourself as your body prepares to drift back into the pleasant REM cycle. Until it hits you, today is not just any day; it is Standardized Assessment Test (SAT) day! You jump out of bed, grab a stale Pop Tart from the pantry and wish you wouldn’t have stayed up until 2 a.m. last night, cramming from the SAT book you bought months ago but just cracked open for the first time. Hopefully this paints a drastically different illustration of test day than the one you will experience. So you know the basics of preparing for a test but you have never studied for a test as important as this one. So where do you begin? Hopefully this article will answer these questions and put your mind a little more at ease when it comes to the SAT (I will be talking about the SAT instead of the American College Test (ACT) simply because it is still the more popular choice, however much of the information also applies to the ACT). As with any major test, preparation should begin months before test day. There are many ways to study for the SAT, ranging from less costly options such as self studying from an SAT review book ($16.41 on Amazon) to hiring an independent consultant to help you prepare (multiple thousands of dollars). There are obviously many options in between these two extremes to be explored such as SAT prep courses in a group setting, and independent online courses. However, not every student learns the same and the best option for one person may not be as beneficial for another. I would be happy to explore these options with students who are interested in learning more about test preparation. I often have terrified students come into my office questioning me about what the test day will be like. First off, it is important to get directions to the high school you signed up to take the test if you are not familiar with the site. Be sure to arrive early in order to go to the restroom, find your classroom, and get situated before the test begins. The best advice I can give in regards to the SAT (or ACT) is to relax. Get a good night sleep and eat a high protein, healthy breakfast the morning of. Give yourself an adequate amount of time for driving, etc. and let your mind relax. The night before is not meant for cramming, some students like to review a little bit while others find that time spent not thinking about the test is much more beneficial. Remember, much of the preparation for this test has been done in your past 3 years of high school through the classes you have taken. Also, the first testing session is a good time to get the kinks out and figure out what the test is all about. My personal recommendation is to take the test 2-3 times. Please feel free to contact me via email: @[email protected], or come to my office. For more opinions, read the Feb. 13 article, La Copa Mundial 2014 en Brasil. As the spring semester is now well underway, the next priority on the seniors’ to-do list is the Free Application for Federal Student Aid (FAFSA), which can be accessed online starting Jan. 1. Every senior is encouraged to submit this form, even if it is believed that they will not qualify for state or federal aid. The reason behind this is that some institutions and even private scholarship organizations use the FAFSA to determine student eligibility. Another important piece of advice is that families who have not yet filed their 2013 taxes are encouraged to go ahead and file the FAFSA and estimate their tax information from the previous year. They will have the chance to amend this information at a later date with the IRS Data Retrieval Tool. Many of our Fresno Christian families fall into this income bracket, which is why I feel it is important to devote an entire article to this scholarship. The purpose of this College Corner and the MCS is to provide financial help for families who struggle to pay for college, yet are above the salary ceiling to qualify them for most need based scholarships and grants. Families who make up $100,000 per year qualify for up to a 40 percent tuition/fee discount and those that make up to $150,000 per year will receive at least a 10 percent tuition/fee discount. The MCS will be a huge help for families who qualify, and in many cases will alleviate the need to take out student loans. This comes at a perfect time, when student loan interest rates recently doubled. It is important to note that the MCS award amount is compared in relation to other aid the student is qualified for. In many cases, students qualify for grants that exceed the award amount they would be offered through the MCS. File a FAFSA/California Dream Act Application and GPA verification form (This is something that I submit for FCS seniors) by March 2nd. Please refer to last year’s article regarding the FAFSA for more specific information about the application. FC will not be hosting a FAFSA workshop this year, however students and parents are encouraged to go to the following website to find a Cash for College workshop in the area for more information about filing the FAFSA: www.calgrants.org. Please feel free to contact me with any additional questions about financial aid, it can be a frustrating and confusing process, which is why I am here to help in anyway I can. For more opinions, read the Jan. 15 article, Junior enjoys Utah ski resort, luxury. Academic counselor Michelle Warkentin gives parents and students tips on upcoming placement tests and things to get done before graduation. It is the end of the first semester of your senior year and all you can think about is finishing that last final so you can enjoy the long awaited Christmas break. Your college applications are in (at least for your top choice schools) and now all you can do is wait . . . right? Well, yes and no. As your academic advisor you are probably expecting me to give you a long to-do list, and if that is the case you will stop reading this article right now. Fortunately for you, I hope you will enjoy Christmas break as much as I will be enjoying mine. However, there are a few things you can do to both mentally and physically to prepare for that important decision you must make by May. By now, I’m sure you are tired of my lecturing, so I asked a few professionals for advice on how to do this. What is the best advice you could give students to do while waiting to hear back from the college(s)? After you submit your application, try to put it out of your mind and focus on the rest of your senior year. Stay on top of your coursework and try to finish strong (keep your grades up). Once you’re admitted, we’ll request to see your transcripts and will check that you completed your year with the same rigor and level of performance, for which we admitted you. Do community service in the field they are interested so they get a feel of what they are getting into and see if they still want to proceed in the field of interest. I would also encourage them to constantly look at their email to make sure they are updated with the information that colleges might be sending to them. Making sure they meet the deadlines for tests is also important. Pray. This is a time to be quiet and allow for reflection of the choice you will make very soon. Spending time answering these questions may help you with the upcoming decision: What would you most like to change about yourself? Why? Can the college you select help you with that? What kind of person do you want the college you select to help you become? What kind of relationships do students have with the faculty? If your faith is important to you and you are interested in learning how to be a more serious follower of Jesus Christ while growing intellectually, then you would want to consider a Christian college. In a Christian college you will learn to witness God?s hand in all subjects. Encourage your parents to complete the FAFSA as it may open doors of other monies you may qualify for other than academic scholarship. At Westmont we offer money outside of the scholarships based on GPA and test scores. Without submitting the FAFSA, you may lose the opportunity of additional grants, even interest-free loans. Do you encourage students to correspond with the admissions counselor from the college or is this discouraged? You’ll receive admission decisions from the UCs in March. There is no need to or advantage in contacting admissions officers at this point unless you have specific questions or concerns. 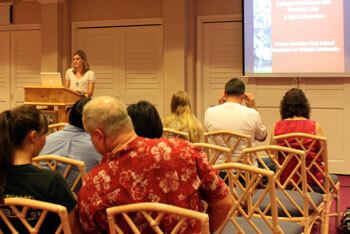 Westmont strongly encourages correspondence of our applicants with their admission counselor. Our focus as a ‘counselor’ is that we want to know our applicants beyond the paper supplied for their application; they need to know we view them more than the GPA or test scores submitted for application review. We attempt to call and every applicant and admitted student to invite them into conversation with us. We want to hear the stories of who you are: what your dreams, fears and hopes are for the future. This allows us to know how Westmont can be changed by having you as part of our campus. It is an exciting time for our team as we are buried in piles of applications reading the stories applicants share of their life-so-far. It is important to note that the type and size of the college determine what sort of interaction you will have with the school from now until May. What should a student be focused on as they enter their final semester of high school? Remember that wherever you ultimately attend college, you will have to work hard and show initiative to get the most out of college. Do not let your grades slip that final semester; we want to see you remain successful before this transition into the amazing college experience. But I would couple the continued attention to academics with celebrating this season of your life with great fun as well. This final semester is a time for building great memories. I would have them focused on finishing strong and positive so it motivates going into college with a positive outlook. Also, enjoy your last year as a senior and take in the moment because there is no going back. Most importantly, look into the schools you are interested in and the deadlines for test, financial aid, registering dates, etc. Enjoy the moment. 1) Enjoy this time, you have worked hard to get where you are now. 2) This next semester is going to be full of fun experiences, but it is crucial that you maintain good grades. 3) Also, use this time to reflect on the abilities the Lord has blessed you with. Be prayerful about where the Lord is calling you to go in this next journey of life. But for now, I hope you all enjoy a wonderful Christmas break spent with family and friends! For more opinions, check out the Dec. 6 article, Campus apathy in need of change, encouragement. Seniors, it is that time of year, the college application process can no longer be put aside. Believe me, in just three months you will be able to rest much easier knowing the decision is in the hands of the college admission advisors. But for now the ball is in your court. Seniors, it is that time of year, the college application process can no longer be put aside. Believe me, in just three months you will be able to rest much easier knowing the decision is in the hands of the college admission advisors. But for now the ball is in your court. How are you going to strategize your game plan? I can’t help but be reminded of myself playing high school sports. I prided myself in being a three-sport athlete. In both volleyball and track I was an all-star for my school and my teammates could count on me to come through when the pressure was on. However, I decided to take up soccer my last two years and did not demonstrate the same skill level to say the least. In my other sports I was confidant and demonstrated the skills to be successful. But in this new sport I was self-conscious, avoiding the ball during high-pressure moments. So how will you choose to approach your college applications, with excitement to demonstrate your abilities or fear of being viewed as unprepared and inadequate? It is important to be realistic in your estimation of yourself when applying, but also know that those reach schools may see something in you that catches their attention. Now that our school has adopted Naviance into the academic advising curriculum, I urge you to take advantage of this helpful resource. Do your research of the colleges and pay attention to the College Confidential page linked to each college. This is helpful because it gives you an inside look into the institution from the perspective of college students and even college professionals (in the section Ask the Dean). Start planning out your college essays/prompts now by getting some ideas out on paper. Most applications have somewhat similar prompts and you will be able to use the same theme with a bit of tweaking. Colleges want to know what makes you unique, what experience has shaped you, and how you will contribute to their institution. Please take advantage of my office hours, the sooner the better while there is still time to spare. For a more in depth look at how to write a head-turning, college essay, watch for my next College Corner post at the beginning of October. For more opinions, read the Sept. 9 article, Campus insider: Defining leadership. If you already took the Standardized Assessment Test (SAT) or American College Test (ACT) at the end of your junior year, now it is time to take it again in order to improve your score. To the class of 2014, you have arrived! You have successfully made it to your senior year. Now that you are here, there are a few things you need to start thinking about. First off, most of you already took the Standardized Assessment Test (SAT) or American College Test (ACT) at the end of your junior year, now it is time to take it again in order to improve your score. This article will give you some tips on how to be successful this time around. I remember it as if it was yesterday, taking the dreaded SAT test. Waking up too early on a Saturday morning, managing to swallow a piece of toast and an egg, navigating my way around a foreign high school campus to find the correct room and sitting for hours trying to fill in as many correct bubbles as possible before the time limit was up. For some of you this may seem like an exaggeration, but to those who despise standardized tests like myself, this is the reality. Looking back on that day makes me smile, realizing that I made it through and it was a necessary evil to get to where I am at today. For many of you, there is that ideal score you have in mind that if you can just obtain, you will have a shot at your dream college. As your Academic Advisor my hope is to calm your anxieties and give you the tools to be as prepared as possible when taking the SAT and/or ACT. My first words of wisdom are to know which test will better assess your strengths and choose that one. Most colleges will accept either test so choose according to your skill set. If you are unsure it may be helpful to take both to find out which one will be a better option for you. To learn the differences between the SAT and ACT please refer to this article. Once you have determined which test you will be taking and have signed up through the testing website: SAT or ACT you will need to familiarize yourself with the material that will be on the test and also how the test is formatted. There are so many test preparation options that it can become quite overwhelming. One of the options for our students is the Apollo Prep SAT course offered on our campus. The next class starts on Sept. 7 in preparation for the Fall SAT tests (please see Michelle Warkentin for more details). 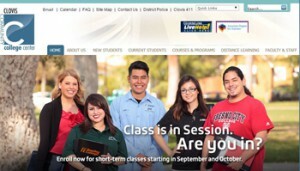 California State University, Fresno, also offers test prep in a classroom setting. 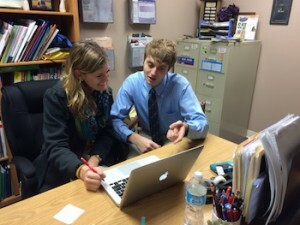 If you are looking for a one-on-one tutoring style, there are several private companies in the area that offer these services (Huntington, Kaplan, etc.). For you self-motivated students we even have an online SAT prep program called Prep Me offered to Fresno Christian students at no cost through the program called Naviance that we will be launching at the end of August. With all these options, I am confident you can find something that will fit with your personal learning style. My next piece of advice is to be realistic when setting your goal score. If you already took the SAT once and got a total score of 1600, chances are pretty good that a 2100 is not a realistic goal. Celebrate the little improvements and know that although these scores are important, colleges look at many factors in addition to test scores. “On average, juniors repeating the SAT as seniors improved their combined critical reading, mathematics and writing scores by approximately 40 points,” College Board stated. As for the ACT, 57 percent of students who took the test increased their Composite score. Lastly, it is important to relax on test day and be confident in what you know. These tests are designed to assess what you have learned in high school and your problem solving skills. As with any test make sure you get enough sleep, eat a hearty breakfast and arrive to the testing site early. For more testing tips go to USnews.com. I am so excited for the Class of 2014 and the start to a great school year. This is the first of many articles meant to inspire you and encourage you toward college success, let the testing begin! For more opinions, read the May 23 article, College Corner: Wake up call. Photographer Tom Milne spoke to juniors and seniors about what it takes to become a professional photographer. If you are a junior reading this article you are probably in a bit of denial. You may be accustomed to scanning over the title of my column thinking, “that doesn’t pertain to me” or “I still have another year before the . . . FAFSA, scholarships, college apps, etc.” Well here I am, your wake up call, you are officially a senior! My intention is not to scare you or cheat you from a well-deserved summer vacation. My hope is to get those wheels turning because you are well on your way to life as an adult. In recent weeks timid juniors have trickled into my office with the same question, “What should I be doing NOW to start preparing for college?” Frankly there is a lot you can do now to put you one step ahead of the game. My biggest piece of advice is: Do your research. Start by selecting your top choice colleges and frequently check their websites for any information that is pertinent to you. Be on the lookout for things like admission requirements, application deadlines (early and regular decision), cost of tuition, acceptance rate and majors offered. The more you know about your prospective colleges the better prepared you will be. This summer is the ideal time to take the SAT or ACT if you have not done so already. “Senior fall testing should only be a fall back, one more chance to push up a score, not the first time you’re seeing a score. The reason: it’s near impossible to target schools to visit unless you have a good grasp of where your SAT/ACT, subject tests and AP scores fall,” Dr. Michele Hernandez said. This summer is also a great time to narrow down your list of colleges by taking a campus tour. It is ideal to visit the colleges as soon as possible while they are still in session. Another great way to experience a specific college or major is to attend a summer program offered at many colleges. A list of 25 popular programs can be found at Summer Programs for High School Students. More specific programs can be found by searching on your prospective college website. 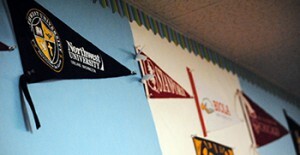 In most cases you can earn college and/or high school credit by attending these programs. Since summer programs are costly and not feasible for everyone, many students choose to spend their summer free time volunteering for an organization. This is a great way to boost up your college application while exploring areas of interest. Consider continuing the volunteer work through your senior year. Your heart races as you scan through the maze of words searching for the answer to your college fate. Then you see them, those awful words, “We regret to inform you . . .” Life stops for a moment as you are hit with the shock of rejection. It doesn’t matter how confident you were that you would be accepted, rejection is still difficult to process. However, the encouraging news is you are not alone. Getting into college is harder than ever and schools all over the country sent out thousands of rejection letters just like yours to equally qualified students. Your initial reaction may be to question your admissions essay, test scores and GPA, but in reality these may not be the reason for rejection. National Association for College￼ Admission Counseling published an article that goes on to explain that seniors are applying to the same 25 to 30 schools due to their popularity and accessibility of online applications. “It’s not about merit, but math, experts say. The number of students who applied to seven or more schools has risen steadily during the past 20 years, reaching 29 percent in 2011. In 2000 the number was 13 percent. In 1991 it was 8 percent,” according to the National Association for College￼ Admission Counseling. Although these statistics may provide some ease in coping, receiving a rejection letter is never easy. Understand that you have a right to be upset and deal with these emotions before moving on. Give yourself a few days to refocus your thoughts on the next steps in this process. What colleges were you accepted to? Start weighing out your other choices to see which campus will be the best fit for you. If you were not accepted to any colleges you will need to research the available options (small liberal arts college, community college, etc.). “Your dream school may be the most prestigious on your list (and the most fun to name-drop), but that doesn’t mean it’s where you’ll be happiest,” the Huffington Post reported. Sometimes students set their sites on a dream college because of its reputation and don’t consider all the little things that make for a great college experience. “We rejoice in our sufferings, knowing that suffering produces endurance, and endurance produces character, and character produces hope,” (Romans 5:3-4). This setback is going to define you into the person you become. Any successful person you can think of had to overcome significant failures and rejection to get where they are today. “J.K. Rowling’s Harry Potter and the Sorcerer’s Stone was reportedly rejected 12 times before becoming the best-selling book series in history,” The Huffington Post reported. If she had given up after the first failure think of everything she would have missed out on. My hope is that you can take comfort in the hope of what the Lord has in store for your life and know that there is more than one road to success. Just because you are not going down the path you had planned for yourself does not make the one you will take is any less valuable. Make the most of the opportunities that come your way and be confident in the gifts and abilities you possess. This concludes the College Corner Column for the Class of 2013. You are amazing and I have been blessed by my interactions with each one of you. Great adventures are in store for you. For more opinions, read the April 19 article, Tower Classic Car Show provides flashback to past. For the previous College Corner, read the March 20 article, College Corner: Choosing the right college. Academic advisor Michelle Warkentin writes a monthly column called College Corner. 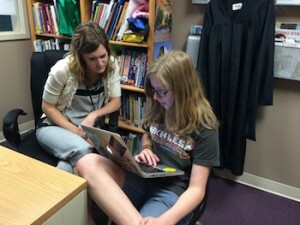 This month she discusses college choices acceptance letters. If you have not yet received notification from your college of choice by April 1 you can check on their website to see when their admission notifications are sent out. For example, many private universities have a rolling decision which means there is no specific deadline and is determined by the date you applied. For UCs and the majority of CSUs the notification deadline is March 31 and students must respond with their decision by May 1. It is also important to inform schools that you have been accepted to but will not be attending as soon as possible so the spot can be opened up for someone else. Are you going to be able to afford these options? Now that your FAFSA is complete and you have been informed of the amount of financial aid your family is eligible to receive. Unfortunately money is a determining factor, and trying to pay off college debt once starting a career and family can be a huge burden. Compare your financial aid offers from the different schools to see which one best fulfills your financial need. Some of the more expensive colleges offer large merit based scholarships making them just as affordable as those with lower sticker prices. Which of these colleges best fits your values, interests, and personality? College is an exciting time for building relationships and developing yourself into the person you aspire to become. It is important to attend a college that will cultivate your interests and help you pursue your future goals. I strongly recommend that you visit your college of interest before deciding to go there. A website can only convey a limited amount of information about their campus. They are also only going to show you their best features, wouldn?t you rather know the good, the bad and the ugly before committing to four years of your life. Which college is going to take you where you want to go? Although most 18 year-olds do not know exactly what they want to do in the future, they usually have a general idea. Do they have majors specifically related to your field of interest? If the answer is yes, talk to professors in this department and even current students or those who have recently graduated from it (they will give you an honest answer). “Give extra consideration to a school whose faculty members are still actively engaged with employers in a given field, as this can open doors to internships, research opportunities and jobs,” says Bob Roth, author of College Success: Advice for Parents of High School and College Students. The easiest way to make the decision is to compare the schools side by side on all aspects and see which one has more of the qualities you are looking for (especially in the areas that matter most). And most importantly, pray about it. The Lord will direct your path. “You guide me with your counsel, and afterward you will take me into glory,” the writer to the Psalms in 73:24 says. For more opinions, read the March 18 article, EDITORIAL: Make each moment count. Michelle Warkentin writes a monthly column called College Corner aimed at helping juniors and seniors prepare applications for college. 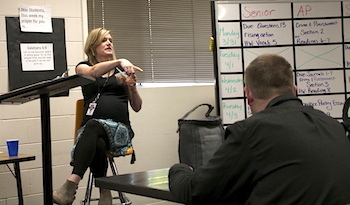 Senioritis has become a popular term used to explain the apathy toward school that students often develop at the end of their high school career. Living up to the name, senioritis is highly contagious and its side effects can be detrimental to students’ college acceptance. However, like many diseases it is preventable and even manageable if contracted. Many students are unaware that colleges can rescind their acceptance if there is a significant drop in the student?s academic standing. A decrease in performance may lead the admissions officer to believe that the student is not prepared for the stress level and difficult workload of college. “We expect the students we admit will continue to demonstrate the traits that distinguished them during the admission process and throughout the senior year, during the years spent on our campus,” Martha C. Merrill, Dean of Admission and Financial Aid at Connecticut College, said. Although rescinding college applications is fairly uncommon, it happens to careless seniors every year and is something that can easily be prevented. Senior year should be a fun and memorable experience with a healthy balance of work and play. Stay on top of all deadlines and give yourself plenty of time to complete assignments. Make sure the work you submit is your highest quality and worthy of college level. It’s easy to get caught up in the college admission process and forget about the here and now; “Don’t spend the whole senior year obsessing about college admission,” Director of admission at Oberlin College (OH) said. Senior year can be an emotional time because several life changes will be taking place in just a few short months. Enjoy this exciting time and talk with friends about the feelings you are having. Use this time to strengthen these friendships and encourage each other in future planning. You have worked very hard to get to this point. Although academics are still important keep your life in balance so you can enjoy all aspects of this final high school semester. Hopefully these tips will help seniors as they consider how to avoid senioritis. Although there is some truth to the symptoms of senioritis, all too often it is used as a convenient excuse for a lack of motivation to finish strong. The most important part of any race is the finish, no one remembers if a runner had a great start if they ended up in last place. What everyone is watching is how the runners cross the finish line. 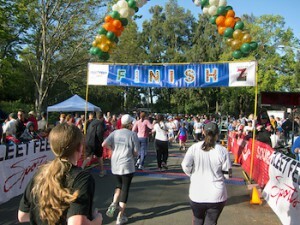 Seniors, how are you going to cross the finish line this May? Will it be with your head held high with pride or sunken low with embarrassment after losing steam at the end? For the previous College Corner, read the Jan. 23 article, College Corner: Common questions about the FAFSA. For more opinions, read the Feb. 15 article, EDITORIAL: Various outlets provide sense of belonging. Many juniors and senior parents and students have concerns about the FAFSA. Michelle Warkentin helps answer some of those in this month’s College Corner. Congratulations seniors you are in the final stretch of your high school career! Most of you can breath a sigh of relief because your college applications have been submitted, now it is just the waiting game to find out which colleges you have been accepted to. It’s around this time of year that the parents start sweating because it is time to submit the ominous Free Application for Federal Student Aid (FAFSA). Simply saying the acronym FAFSA sounds like an ugly thing, however most students and parents will agree that it is much less painful than they anticipated. The materials needed in order to get started are similar to those used when filing a tax return. However, the great thing is that you don’t need to have already filed your 2012 taxes. An estimate of your 2012 tax information will suffice until you complete your taxes at which time you will be able to use the Internal Revenue Service (IRS) Data Retrieval Tool to transfer your tax data directly from the IRS website into your FAFSA. Yet many of you have common questions about the FAFSA I hope to answer. One of the most common questions I receive regarding the FAFSA is, “Do my parents have to file a FAFSA even if they know we won’t receive any financial aid?” First off, there is no way you can know that you will not receive financial aid unless you apply. Secondly, several other factors are taken into consideration aside from financial need (ex. number of siblings in college, size of family, etc.). Lastly, students are often ineligible for school-based scholarships, loans, etc. if they have not completed the FAFSA. To make the process a little less intimidating, it is important to understand other acronyms specific to the FAFSA such as E.F.C. (Expected Family Contribution), S.A.R. (Student Aid Report) and I.B.R. (Income-Based Repayment). Another common question is “My parents are divorced and they have 50-50 custody, which one of them is responsible for filing the FAFSA?” In the majority of cases, 50-50 custodies are not completely equal, one parent usually has the child more often than the other. However if it is truly 50-50 then the parent who provided the majority of financial support for the child during 2012 is responsible for completing the FAFSA. “If the parents provided the same amount of support, then the college financial aid administrator gets to choose, and they almost always will chose the set of parents with the greater income,” Kantrowitz said. However, The Feather wants to let readers know that their are sites that will help them file the FASFA, including FAFAOnline.com and Student Financial Aid Services Inc.. Both of these web sites charge for their services but can file the FAFSA for students/parents. For more information on FAFSA, read the Dec. 14, 2010 article, College Corner: Filing the FAFSA. For more College Corners, read the Dec. 10 article, College Corner: Tips on scoring cash for college. With college tuition rates at an all time high, students and their parents are stuck contemplating how they can possibly afford to pay for college. College Corner is a column about all things college, covering everything from college preparation to tips on application. A new column will be posted on the first or second Wednesday of the month. Applications submitted…check. Now begins the waiting period for the monumental letter to arrive. In the meantime there are plenty of things students can do aside from twiddling their thumbs. With college tuition rates at an all time high, students and their parents are stuck contemplating how they can possibly afford to pay for college. A study published by Collegeboard.com (2007) found that that from 1997-98 to 2007-08 tuition rose 54 percent for public four-year institutions, 17 percent for public two-year institutions, and 33 percent for private four-year institutions. With rates like these, more and more families are searching for financial assistance to help pay for college. Although loans are a helpful and a necessity for some, free money that does not need to be repaid is undoubtedly the best option. Most students do not feel they have the time to dedicate to finding scholarships. The number of scholarships available is intimidating and the search can be a daunting task. But as the saying goes, you never know what you are missing until you try. I have heard countless stories of students applying to as many scholarships as they qualify for and they end up receiving thousands of dollars towards college. The key to the scholarship search is to use your time and resources intelligently. Choose scholarships that you feel you have the best chance of being awarded. Thousands of students apply to the big name scholarships and your chance of getting these is much less likely than the less common ones. A great option is to search for local scholarships in your area. A local scholarship is probably your best chance for getting a scholarship. There are special scholarships just for locals, meaning it will be less competitive, as there are usually less applicants. A great place to start would be your local bank, grocery store, church or club. Another excellent place to look for scholarships is at the colleges you apply to. Most colleges offer their own scholarships to students, these are usually based on merit and some are specific to a field of study. It is important to call the financial aid office at the college to inquire about the scholarships available. It is a good idea to get a head start on this since financial aid may be a determining factor in the college decision-making process. Also, families do not find out if they will receive federal financial aid through the Free Application for Federal Student Aid (FASFA) for several months from now. There are numerous online scholarship search engines to help students identify scholarships that are right for them. Here are a few resources that are free of charge. Students should never have to pay for a scholarship, if they are asked to it may be a scam. Good luck as you begin the college scholarship search. Remember, the money is out there you just have to look for it. For the last month’s College Corner, read the Nov. 13, article, College Corner: Common college application mistakes. In this College Corner, academic adviser Michelle Warkentin shares her advice on the college application process. For this column I turned to my colleagues from local colleges and universities to offer some words of wisdom when it comes to college applications. These experts have reviewed hundreds of applications. They are aware of the standout qualities that distinguish qualified students from the rest and also the common mistakes causing applicants to get turned down. Upon posing the question, “What advice do you have for seniors who are starting the application process?” the answers I received were very similar. Nearly every professional talked about the importance of being prepared and organized. David Navarro, college relations specialist from Willow International has some great advice. He also cautioned that if a college representative has the impression that you are unorganized they could think twice about your admission. It is also essential to have your application reviewed by another set of eyes before it is submitted. As with any written document it is important to have an objective party scan for grammatical errors, typos and inaccurate self-portrayal. Toby Garza, admissions counselor and adjunct faculty from Fresno Pacific University talks about submitting an application free of mistakes and also one that correctly addresses the questions asked. Taking the time to submit an application that you are proud of and properly reflects you is very important. Admissions officers do not have time to conduct personal interviews with every applicant, which is why the prompts are your time to shine. These sections give students the opportunity to demonstrate why they should be accepted over other applicants. Although the essays require the most time and consideration, the other sections are also important and should not be overlooked. Here are a few common application mistakes that were mentioned by the professionals. A common issue is not accurately inputting a student?s classes (not indicating AP and honors classes, incorrect placement of classes in A-G categories, etc.) and not including SAT/ACT scores since they are retaking the tests can be a problem. Loveless says students often neglect to check the box in the ?Parent Clause? on page five of the UC application, which allows the school to give information to parents if they call with questions regarding their student. Navarro has seen students forget to click the “Submit my Application” button when they are done with the SCCD application, which can create a huge delay in the process and may ultimately cause them to miss the priority registration deadline. When completing the application forms, students often become overwhelmed by the amount of information that is required of them to fill out. Although this may be true, it is important to complete the forms correctly and completely. Omitting some requsted information can also cause delays and possibly even denial of acceptance. Delma Garcia, outreach counselor and supervisor of the Ambassador Program at California State University, Fresno, talks more about this issue. Delma says students need to be prepared to answer questions relating to family income, size of family, date parents moved to California, if parents are California residents and student?s social security number. Students are often hesitant to give out their social security number but Navarro warns that this is necessary in order to match students to their financial aid application. This information will not been seen by anyone other than the school personnel and is only used on a secure website. With most college applications due in just days or weeks from now, my hope is that students feel more prepared then ever to take on this endeavor. Teens are now aware of the common pitfalls they can fall into and now students have the advice from expects in their field to complete the process. Remember that campus are not alone in this process; there are people out there who are willing to answer any questions they may have. The only dumb question is the one not asked, so please, ask away. For more opinions, read the Nov. 8 article, Junior discusses nationality, ethnicity. As the classic saying goes, “The early bird gets the worm.” This seems to be the case for most of life’s circumstances, but does it hold true for college applications? College Corner is a column about all things college, covering everything from college preparation to tips on application. A new column will be posted on the first and/or second Wednesday of the month. I recently had a student in my office who was contemplating this very decision. “Should I apply to all 10 schools on my list and if so should I apply early action to all, some, or none of them?” He eventually came to the conclusion that colleges should all have the same deadline, making the entire process much less complicated. Although different deadlines are confusing to keep track of, they are not the evil schemes of colleges to make life more difficult for students but instead they are opportunities for students to get a head start on the process and in some cases may provide a better opportunity for acceptance. To clear up any ambiguity on the matter, let me go on to explain the differences between college application options. First, there is the early decision application. This option is the most rare of the three and is most commonly offered by the more highly competitive, prestigious universities. Students can only apply early decision for one college but are able to apply using the early action or regular decision admission options for other schools. However, if they are accepted to their top choice, they must immediately withdraw their applications to the other schools. For students who are surer than sure about the school they want to attend, early decision is great because it shows the college how serious you are about going there; the downside is that if you get in and the financial aid package isn?t exactly what you expected, you may have to take out additional loans or find more scholarships than you initially anticipated in order to afford it. The second choice is early action. This provides the benefits of early decision however the decision is non-binding. One of the greatest features of early action is that if students are accepted, they are able to weigh out their options, compare financial aid packages and can wait until spring to confirm their college selection. This route would be good for students interested in several highly-competitive schools but still unsure of their number one choice. It is also important to note that the acceptance rate for early action is often higher than the regular decision acceptance rate. The U.S. News published a recent study listing schools with the highest acceptance rate for early action. It is important to note that although uncommon, some schools can elect to defer students and give them another chance during the regular decision period. The early action application deadline varies among colleges but most range from Nov. 1 to Dec. 1. Students who choose this option will usually be notified of their acceptance or denial around Dec. 15. The final option is regular decision. This is the most common choice for students and for many, the safest. In many cases students do not have all of their materials together, best test scores, and necessary recovery class credits in time for the early application deadlines. Students should put a significant amount of time and effort into the application process. If an application does not showcase the student at their best, it should not be submitted until this is accomplished. Although acceptance rate is usually higher for early applications, students should be confident of all materials that are submitted. The downside of the regular application deadline is that students are not notified of acceptance until the spring, but for some this extra time to prepare is worth the months of uncertainty. The regular decision deadline for the majority of colleges is Jan 1, 2013. The best advice I can offer in this time of anxiety and uncertainty is that the Lord is in control of our destiny. I am reminded in Jeremiah 29:11 that the Lord has great plans for us. He rewards those who seek after Him and although His plans are not always what we desire, they are always what we need. 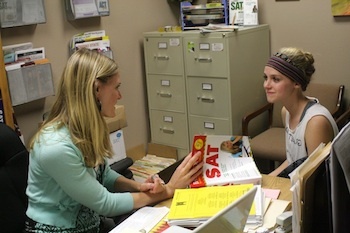 For more College Corners, read the Oct. 3 article, College Corner: SAT or ACT? For more opinions, read the Oct. 22 article, Final Presidential Debate to be held, Oct. 22. College Corner: SAT or ACT? College Corner is a column about all things college, covering everything from college preparation to tips on application. A new column will be posted on the first Wednesday of the month. College placement tests can be confusing. 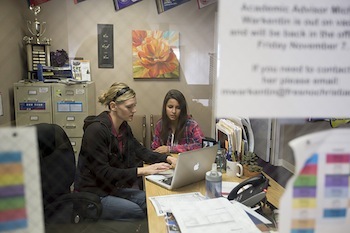 Academic counselor Michelle Warkentin explains the seven key differences between the SAT and the ACT in this College Corner. It’s one of the questions I hear more than any other . . . ‘which test should I take, the Scholastic Aptitude Test (SAT) or the American College Testing (ACT)?’ Since the answer differs for everyone depending on their skill set and preference, I will try my best to provide adequate information about each test. My hope is that students and parents will have the proper tools to make their own informed decision. However, the most obvious response I give is to take both and see which one you receive a higher score on. Then take it a second time, maybe even a third time to see how much you can improve your score. Students often surprise themselves by doing much better on one test versus the other. I know taking an additional test is the last thing many of you “testophobic” students want to hear (yes, that is a real word) but it could very well be the ticket to your dream college. I can easily sympathize with your test-taking phobia. Sign me up for a personal interview or a 30-page essay, anything to avoid four hours of miserable answer sheet bubbling. However, when it is all said and done college testing is not as daunting of a task it is made out to be, for good or bad scores . . . life will go on. The scoring methods for the two tests are very different. The SAT has three sections: math, critical reading, and writing. Each section is scored on a 200-800 point scale. The perfect SAT score is 2400. The national averages are 516 (math), 501 (critical reading) and 492 (writing). The test takes three hours and 45 minutes and costs $50. Students can sign up for the SAT at college board’s website. In comparison, the ACT has four sections: English, reading, math and science. It also contains an optional 30-minute writing test. Each section is based on a scale of 1-36. The average of these sections is taken to find the composite score. A perfect score on the ACT would be a 36. The national average is 21. The website to sign-up for the test is at the ACT website. It takes three hours without the writing and three and a half hours with it. The cost is $35 without the written portion and $50 with the written test. If you are interested in learning more about either of these tests or would like information about study resources, please come talk to me. However, one of the best ways to prepare for these tests is by taking the practice tests, the Preliminary Scholastic Aptitude Test PSAT for the SAT and the PLAN for the ACT. We offer both of them on campus. The PSAT will be given in the Peoples Church Gym, at 8 a.m., Oct. 17. The next SAT test will be administered Nov. 4; the registration deadline is Oct. 3. The PLAN test will be given on campus in mid-November, more details to be announced. The next ACT test is Dec. 8; the registration deadline is Nov. 2. I usually recommend that students take these tests toward the middle or end of their junior year and again at the beginning of senior year to improve their score. Be sure to check your college websites for application deadlines. Many early registration deadlines are Oct. 31 or Nov. 1, however this is not the case for all colleges. The normal registration period for most schools is Oct. 1-Nov. 30. However, this is not the case for all colleges. For the previous installment of College Corner, read the Sept. 5 article College Corner: Staying one step ahead of the game. For more opinions, read the Sept. 27 article, Start Smart teaches caution, safety (VIDEO). The late bell for first period is just seconds from sounding and still students linger in the hallways. It is the first day of school and the excitement of summer vacation can be overheard in every conversation. Along with these recollections comes the joy of reuniting with old friends and anticipation of what the new school year will bring. While the freshmen bask in the glory of the newness of high school, this year’s upperclassmen are already looking ahead to graduation. For some students, this event cannot come fast enough but others prolong post-graduation decisions as long as possible. As the new academic advisor, my goal is to put students at ease about college planning and offer support throughout the process. Being proactive in this journey and setting realistic expectations for oneself is the first step to success. It is much more enjoyable, and in some cases more beneficial, to complete college applications, FAFSA forms and scholarship applications well before the deadline. Seniors, you are well on your way to college! Some excellent advice can be found in the Nov. 1 article, College Corner: An overview of applications, written by former Academic Advisor, Molly Sargent. The College Board website is also a great resource for students looking to get started on the college selection process. This can be a daunting task, but by using the college search tool, the process can become much more manageable. With this tool, students can fine tune their college search by using several categories such as location, housing, majors, financial aid to find a college that suits their needs. Once top colleges are identified it is important to check these individual college websites. Although there are some general specifications colleges are looking for, they may have specific qualifications and deadlines unique to their institution. Nothing could be worse than missing the application deadline for the college of your dreams! – The next SAT test is Oct. 6, sign up on The College Board SAT home page by Sept. 7. – The next ACT test is Oct. 27, sign up on The ACT home page by Sept. 21. – The 2012 Fresno Area College Night is on Sept. 12 from 6:00-9:00 p.m. at the Fresno Convention Center- New Exhibit Hall. There will be financial aid breakout sessions held throughout the night (the first one is at 5:30 p.m.). – The Fresno Christian College Fair is on Tues. Sept. 18, during the lunch hour in the courtyard. Here students will have the chance to talk to representatives from 30 colleges (mostly private Christian colleges). – Fresno Christian College Information Night hosted by Academic Advisor, Michelle Warkentin on Wed. Oct 1, from 6:30-8:00 p.m. This event is open to all students and parents. More information regarding college preparation will be coming your way next month. I look forward to meeting with every student this year. My ultimate goal is for every student to have the best high school experience possible and the opportunity to pursue their college and career goals. That?s all for this edition of College Corner! If you have any questions, please contact Michelle Warkentin. For more news articles, read the Aug. 30 article, BRIEF: Classes meet to share devotional, information.